La Silla is in the Southern outskirts of the Atacama Desert, one of the driest places on Earth, it may come as a surprise to see cloud formations result of the Peruvian Humboldt Current. 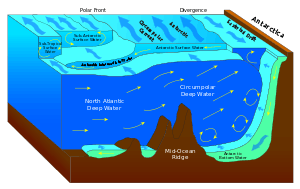 The Humboldt Current LME is considered a Class I, highly productive (>300 gC/m2-yr), ecosystem. It is the most productive marine ecosystem in the world, as well as the largest upwelling system. The Humboldt’s high rates of primary and secondary productivity support the world’s largest fisheries. Approximately 18-20% of the world’s fish catch comes from the Humboldt Current LME. 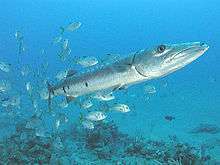 The species are mostly pelagic: sardines, anchovies and jack mackerel. The LME’s high productivity supports other important fishery resources as well as marine mammals (eared seals and cetaceans) and seabirds. The cold, nutrient-rich water brought to the surface by upwelling drives the system’s extraordinary productivity . The presence of the Humboldt Current and its associated wind shear prevents the formation of tropical cyclones in the area (The same effect occurs in the South Atlantic with the Benguela Current). Periodically, the upwelling that drives the system’s productivity is disrupted by the El Niño-Southern Oscillation (ENSO) event. 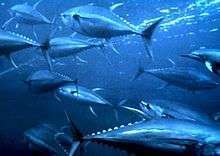 When this occurs, fish abundance and distribution are significantly affected, often leading to stock crashes and cascading social and economic impacts. These events have led to sequential changes, where sardines and anchovies have replaced each other periodically as the dominant species in the ecosystem. These species changes can have negative consequences for the fishing industry and the economies of the countries that fish the system. The Humboldt has a considerable cooling influence on the climate of Chile, Peru and Ecuador. It is also largely responsible for the aridity of Atacama Desert in northern Chile and coastal areas of Peru and also of the aridity of southern Ecuador. Marine air is cooled by the current and thus is not conducive to generating precipitation (although clouds and fog are produced). ↑ "Sitting at the Top of a Cloud". www.eso.org. European Southern Observatory. Retrieved 8 December 2014. ↑ Ruminski, Mark (Jan 1991). "Two Unusual Tropical Cyclones in the Southeast Pacific". Monthly Weather Review. 119 (1): 218–222. doi:10.1175/1520-0493(1991)119<0218:TUTCIT>2.0.CO;2. Retrieved 1 Jun 2016. This article incorporates public domain material from the United States Government document "NOAA article on Humboldt current".